This building looks a little like something from a Terry Gilliam movie, but it’s just one of the two middle schools here in our neighbourhood. 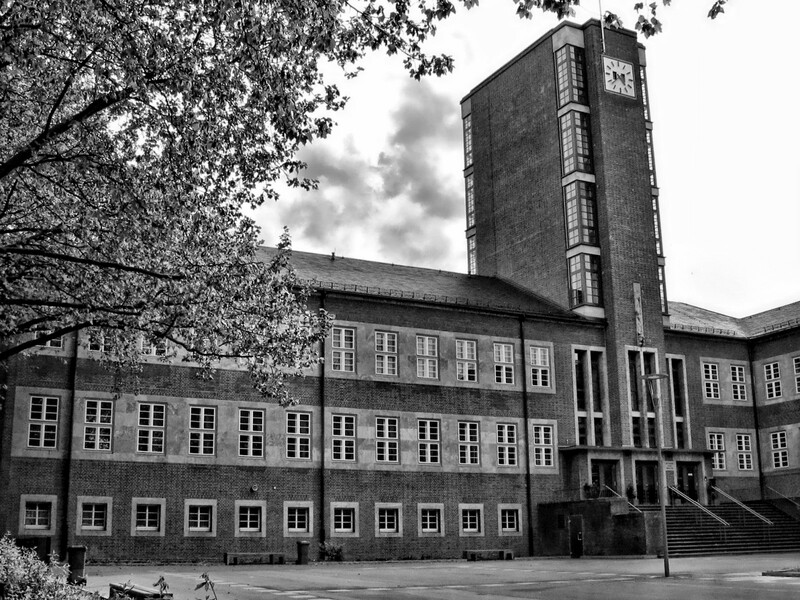 This is the Realschule Stadtmitte with 5th to 10th grade, built between 1925 and 1928. I’ve never been in there, but I walked by it every day when I went to my school, which was a little further away. There were rumours that the big tower was closed for years because it was structurally unsound, but a couple of years ago the whole building complex was extensively renovated and the tower now apparently houses a library. But it’s still one of the uglier buildings around here!